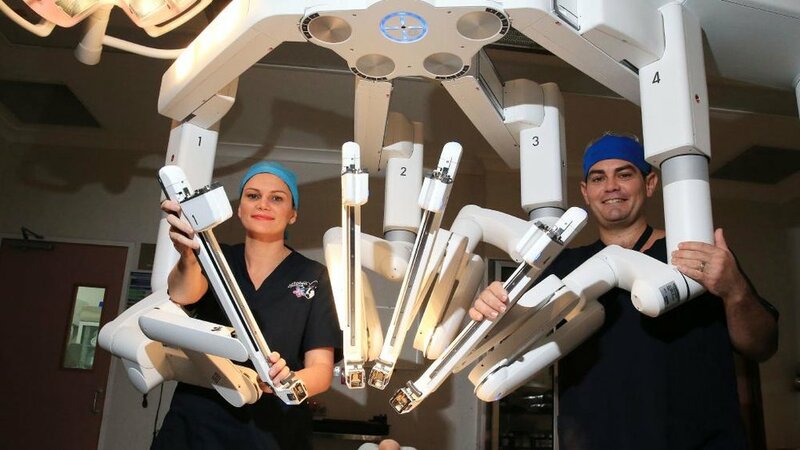 Cairns Private Hospital performs first hysterectomy via the da Vinci robot. 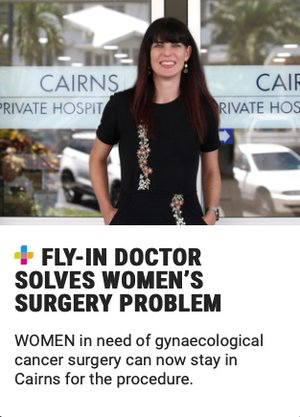 Operating out of Cairns Private Hospital, Gold Coast specialist surgeon Dr Helen Green (gynecological-oncologist ) will fly to the Far North each month for the region’s first regular gynaecology cancer service. Women in need of gynaecological cancer surgery can now stay in Cairns for the procedure. She successfully completed surgery on her first Cairns patients this week. The breakthrough service has come about through a long professional relationship between Dr Green and Cairns gynaecologist Dr Elizabeth Jackson. 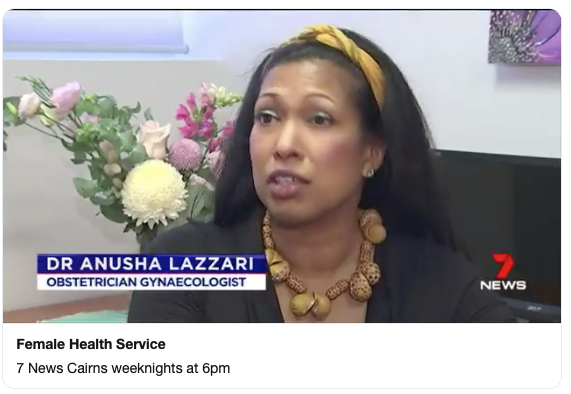 When Dr Green is not in Cairns, her patients will be cared for by local gynaecologists Dr Jackson and Dr Anusha Lazzari. Dr Green said as the daughter of a principal, she spent many years living in regional Queensland and understood the challenges of getting medical services outside the southeast corner. “All the patients have been extremely appreciative of having surgery closer to home. Surgery was only thing missing from gynaecological cancer services in Cairns. Patients can have chemotherapy and radiation locally, now being able to have surgical procedures locally completes the picture,” she said. Endometrial cancer was the most common cancer requiring surgery but Dr Green can also perform surgery for uterine or ovarian cancer patients using minimally invasive techniques including robotic surgery. “Prior to having Dr Green come to Cairns, most gynaecology cancer patients needed to travel to Brisbane or the Gold Coast for their surgeries. This involved leaving their family and home for usually one to two weeks while undergoing cancer surgery,” Dr Jackson said. A gynaecology cancer surgeon trains after medical school to become a gynaecologists and also completes many more years of study and surgical training to perform complex pelvic operations. Dr Green will be able to receive referrals directly from GPs or local gynaecologists. Patients will then be reviewed via telehealth, and Dr Green will perform assessments and arrange investigations from her home base at the Gold Coast. Dr Green will also run a private gynaecology-oncology clinic. THANK YOU Dr Helen Green and Cairns Post and Channel 7! Heavy Period Treatment Options - They're very common! Why do they happen and what can we do? The Three Stages of Labour - Dr Jackson explains the 3 stages of labour and c-section pros / cons. Struggling to conceive, or just have questions? Dr Jackson offers some tips and advice if you're trying to have a baby. 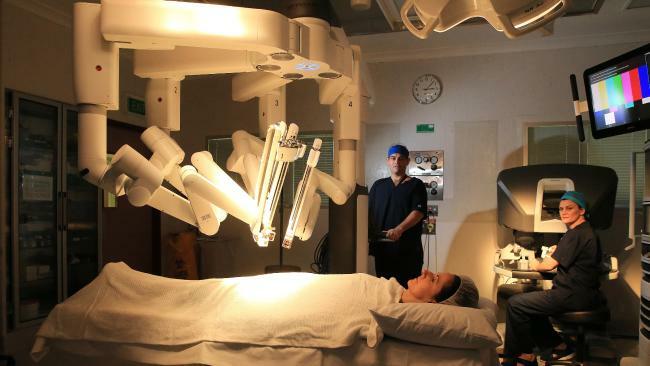 Robotic Surgery - the revolutionary new technology, changing surgeries in gynaecology. Public or Private - If you are pregnant or trying, here is some info on Public or Private hospital care. Pap Smears - New cervical cancer screening (replacing pap smears). Dr Elizabeth Jackson is privileged to be referenced at the National Press Gallery Presentation by Australian Digital Health Agency CEO, Tim Kelsey. Dr Jackson has replaced the paper-based pregnancy record with the MyHealth record. This means patients can carry their pregnancy record through their mobile phones, using the Healthi app. The MyHealthRecord, as a pregnancy record, means that Dr Jackson can communicate instantaneously with GPs and the Cairns Private Hospital. To hear about the capabilities, privacy features and national opt-out, watch Tim Kelsey’s full address here. Thank you to the Australian Digital Health Agency for supporting Cairns and the Dr Elizabeth Jackson clinic use of the MyHealth record in pregnancy. 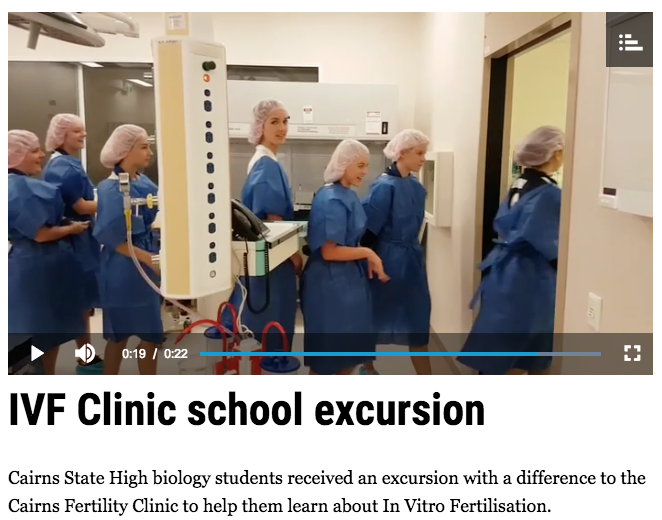 Dr Elizabeth Jackson was delighted to show Cairns State High biology students through the Cairns Fertility Centre, to help them learn about In Vitro Fertilisation (IVF). Dr Jackson hopes there are some budding future scientists, nurses or fertility specialists, amongst the group!!! >> Thank you to the Cairns Post, Cairns State High and the team at the Cairns Fertility Centre. December 2017: Dr Jackson became the first robotic surgically trained gynaecologist in North Queensland. To see the full link, you need to be a subscriber to The Cairns post. Thank you to The Cairns Post, Alicia Nally and Justin Brierty. 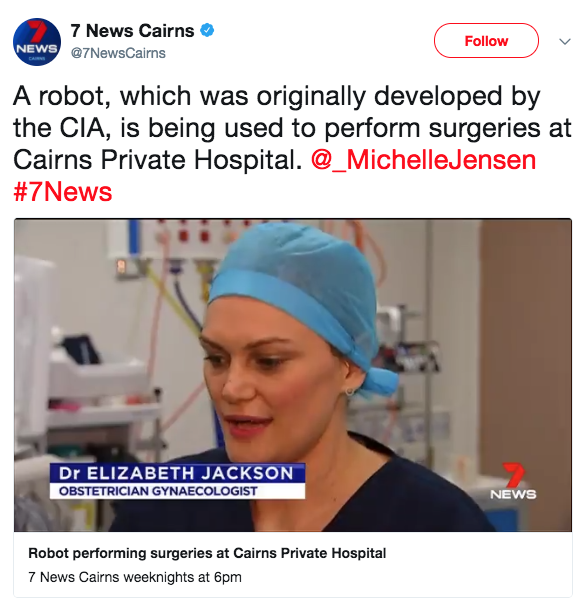 December 2017: A robot, which was originally developed by the CIA, is being used to perform surgeries at Cairns Private Hospital. To watch the video, visit Channel 7's Twitter page. Thank you to Channel 7 and Michelle Jensen. June 2017: Cairns Private Hospital is leading the way to innovative maternity care in Australia wth the introduction of the Know Your Midwife program. "The hospital's Maternity Unit has created the new program that will allow expectant mothers to opt for a known Midwife and Obstetrician to follow them through their pregnancy, labour, birth and the postpartum period." To see the full article, please visit CairnLife Magazine. Thank you to CairnsLife Magazine and Suzie Grinter. 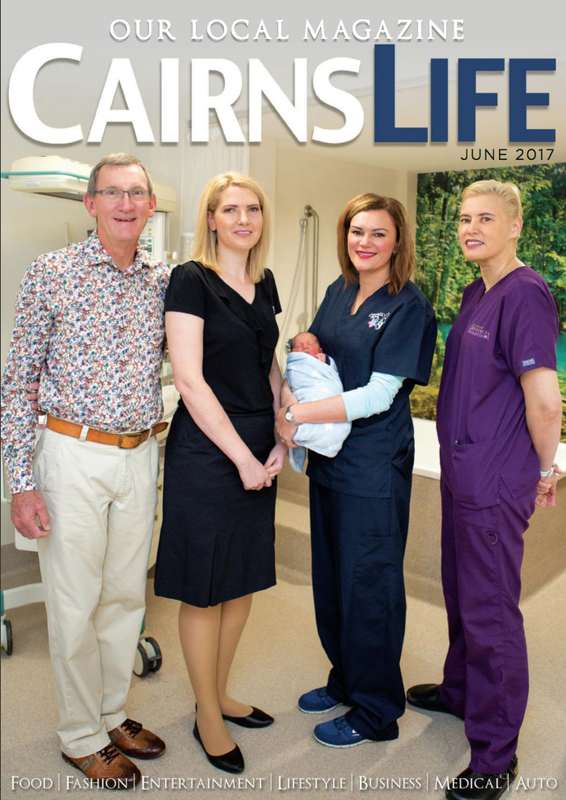 News - April 2016: Dr Jackson celebrates the opening of the new Cairns Private Hospital birthing suite. "BEING born in the tropics makes perfect sense for baby Marissa Celeste. The precious bundle is the first daughter to American parents Elizabeth and Jacob Smith, who now live in Papua New Guinea. The family were among the first to use one of Cairns Private Hospital’s new purpose-designed birth suites, which have been adorned with tropical wall images and opened last week. Marissa was born last Tuesday and despite her mother, the obstetrician and a midwife sharing the same name (Elizabeth), her name was somewhat inspired by nature." To read the full article, visit Cairns Post. Thank you to Cairns Post and Bianca Keegan.